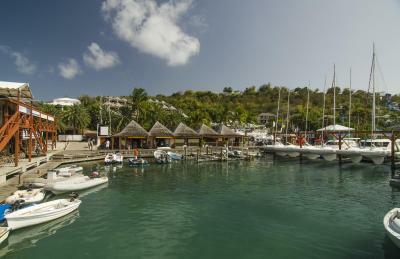 Lock in a great price for Antigua Yacht Club Marina Resort – rated 8.1 by recent guests! 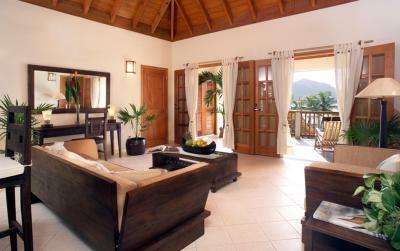 The rooms are extra large and the views from the rooms and the balconies are spectacular. Kitchens are well equipped. 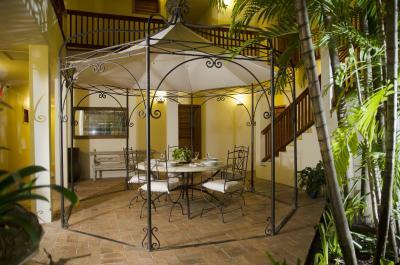 Clean and Spacious, outside balcony with harbour views. 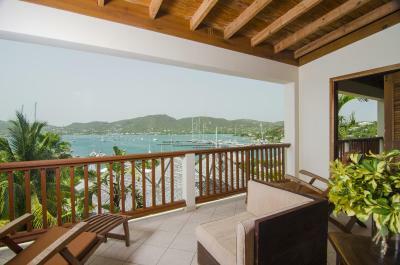 The view of the harbor from all rooms is wonder. 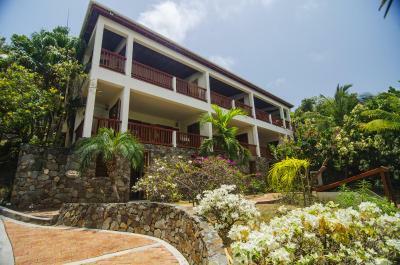 The staff goes out of their way to accommodate every need and they have a complimentary shuttle to nearby beaches and shops that are beyond walking distance. 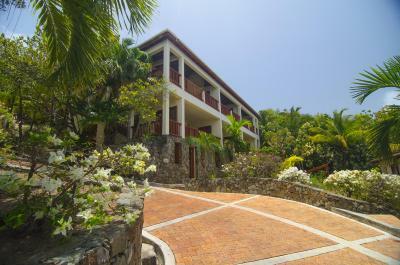 Most everything you could need is steps away from the rooms. The staff were very friendly, inviting and I even received an upgrade with an extended check out. The room was fantastic, large and with a great view. The bathroom also very large. The fridge based drinks service was excellent, though the cost of water at 3.50 could be better. 1.50 over the road at the breakfast café (Seabreeze café in the marina). The coffee in the meeting area was very good, though we did not try the hotel breakfast which at $16 seemed a little high. I can not rate the room, staff and hotel highly enough. A great place to stay. Location is central but noisy due to all the bars. Staff is very nice and friendly. 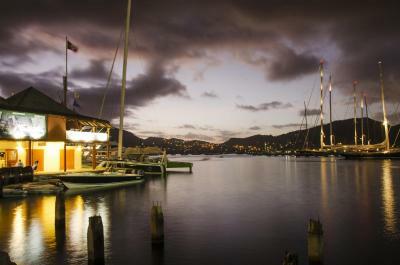 Marina view is incredible from the balcony very cozy to seat and relax in the end of the day. Room has a good space and bed is good. 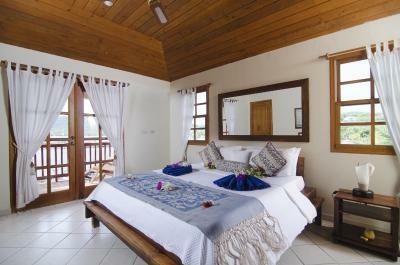 Decoration is also nice matching with beach atmosphere. 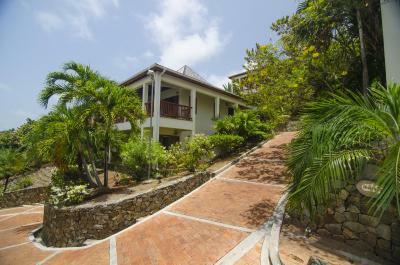 Walking distance very convenient to bars and restaurants. 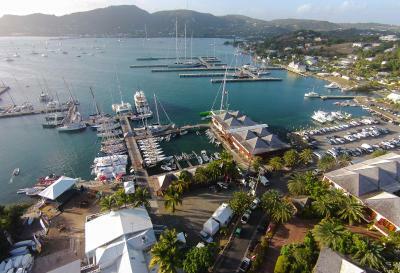 The location is perfect for sailing week, we were right in the middle of all the action, the view is top notch overlooking the harbor. There are at least 2 dozen places to eat right outside the hotel. 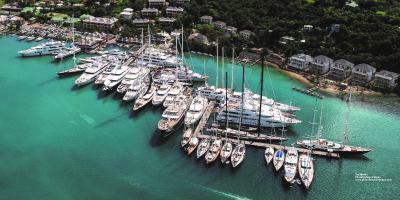 Antigua Yacht Club Marina Resort This rating is a reflection of how the property compares to the industry standard when it comes to price, facilities and services available. It's based on a self-evaluation by the property. Use this rating to help choose your stay! 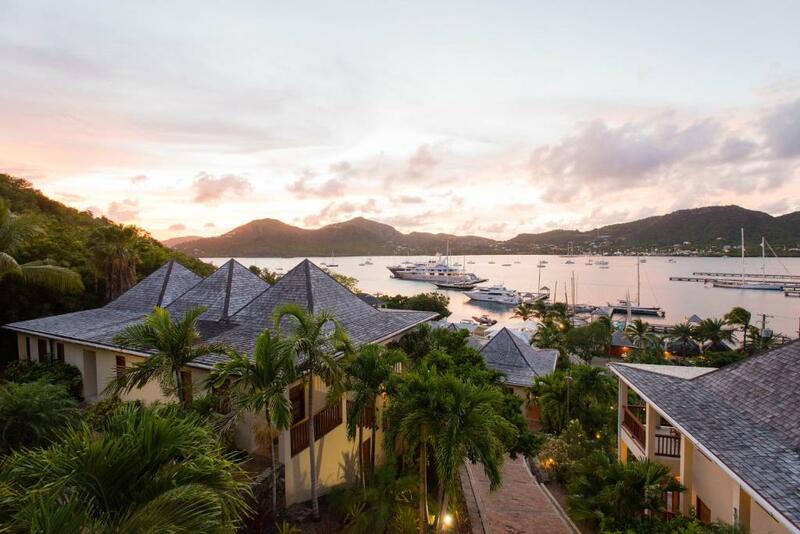 One of our top picks in English Harbour Town.Located in Falmouth Harbor, this waterfront resort is 1.9 mi from the panoramic views of Shirley Heights Lookout. 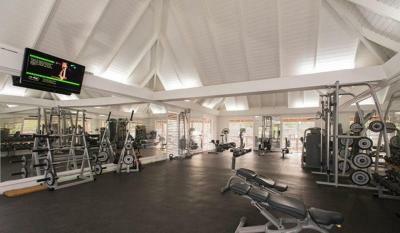 It features an on-site spa, a fitness center, and rooms with a flat-screen TV. 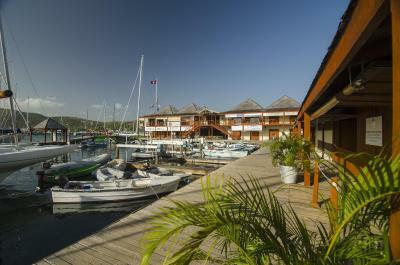 Antigua Yacht Club Marina Resort features bright rooms with Indonesian furniture and ceiling fans. 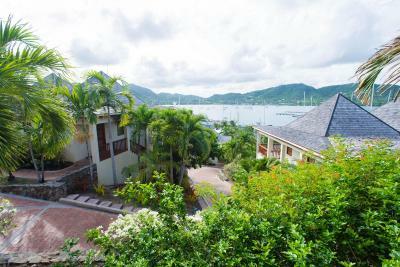 Guests can relax on the private balcony, boasting views of the garden or the marina. 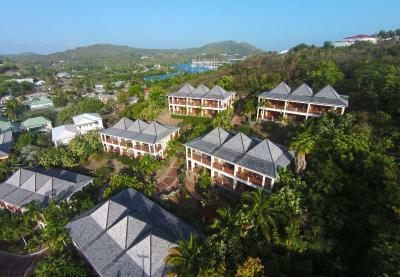 Massage services are available at this Antigua resort. 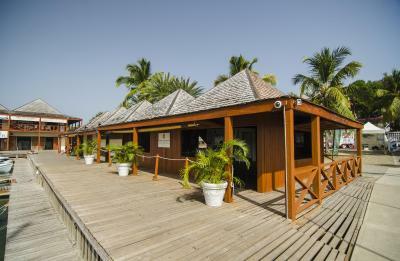 Concierge services and a gift shop are also offered. 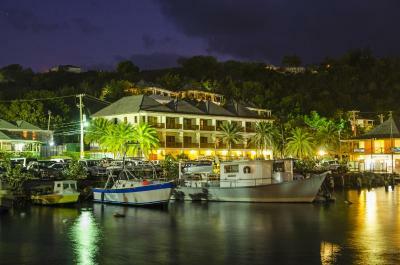 St. John’s, the capital of Antigua, is a 20-minute drive from the Antigua Marina Yacht Club Resort. VC Bird International Airport is 14 mi from the property. 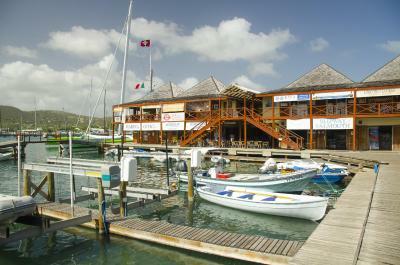 When would you like to stay at Antigua Yacht Club Marina Resort? Features a flat-screen TV and a private balcony. 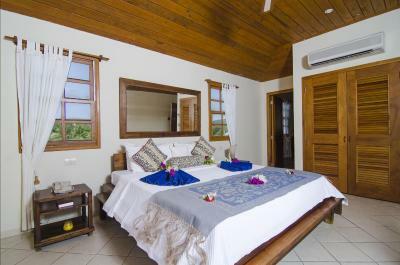 This studio features a flat-screen TV, kitchenette, and a private balcony with views of the gardens. 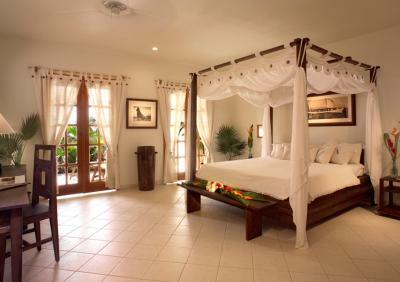 The room features 1 King-sized bed that can separate into 2 Single-sized beds. 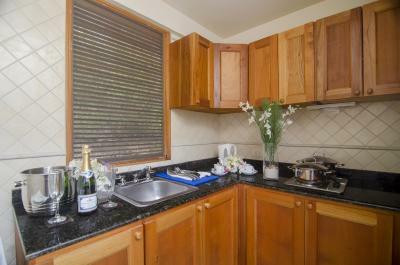 This studio features a flat-screen TV, kitchenette, and a private balcony with views of the marina. 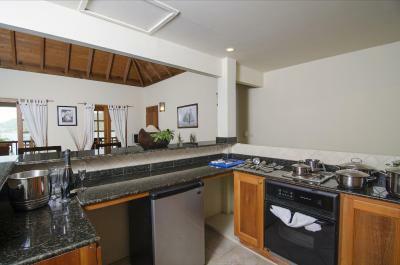 This spacious 2-level suite features a complete kitchen, a separate living area, and 2 private balconies with views of the garden and marina. Are we right in saying that 'location' and customer service are two of the most important words in tourism? We think so and probably you will agree. By 'location' we mean that mixture of landscape, accessibility and resources. 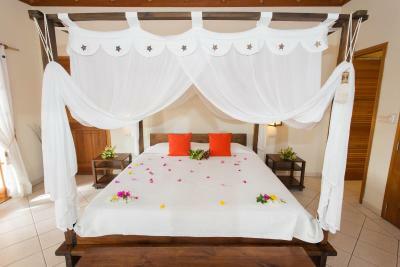 By 'customer service' we mean that holiday where you can feel relaxed and at home, and also treated like family. 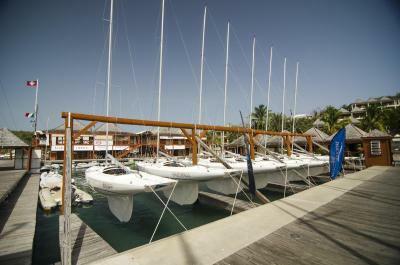 We pride ourselves in offering both of these key features at the AYCM Resort. 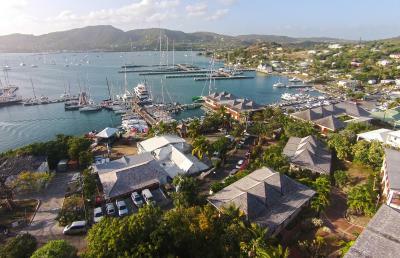 The "little village" feeling of our marina complex and the English Harbour area offers a range of products/services all within close proximity to your room. Nothing is too much trouble for our helpful staff, who are more than happy to assist with any requests and offer information to all guests. 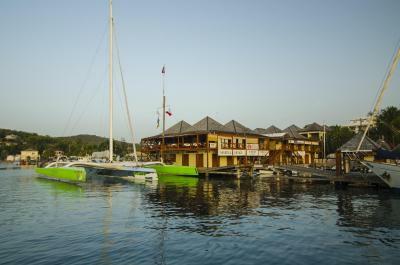 The Antigua Yacht Club Marina Resort offers you an opportunity to enjoy a 'home away from home' vacation with warm Antiguan Hospitality! House Rules Antigua Yacht Club Marina Resort takes special requests – add in the next step! 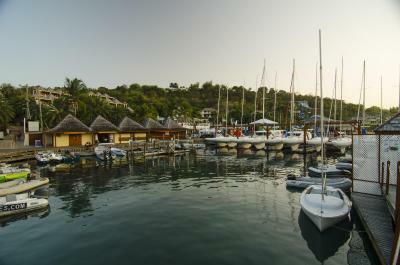 Antigua Yacht Club Marina Resort accepts these cards and reserves the right to temporarily hold an amount prior to arrival. Please note that American Express Credit Cards are not accepted by the property. Only Visa & MasterCard can be used. There is no restaurant, no snacks, no breakfast at all. They do have a table where a pot of coffee is made around 7AM and then ignored for the remainder of the day. 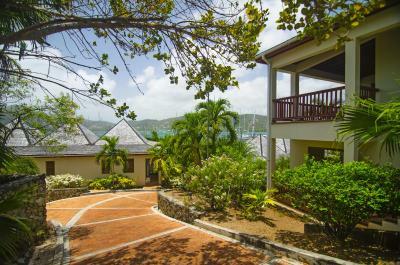 The location is ideal if Falmouth Harbour is your destination. 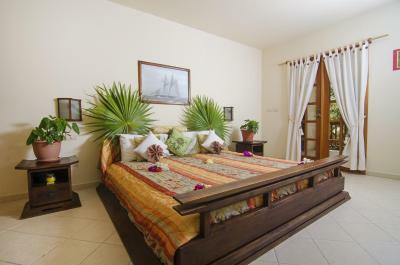 And the rooms are quite nice with large balconies and commanding views of the harbour. If you book rooms 44-49, be prpared to climb a steep hill to your room. The offer golf cart service up but if you get in after reception is closed, be prepared for cardio. There is no beach, but that us not why I go there. 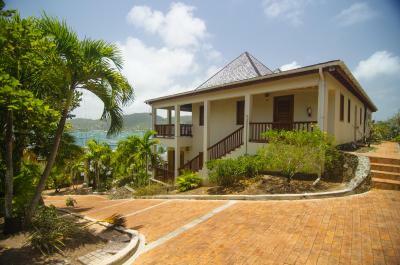 Proximity to all things boating and to English harbour is what it is all about. For the price we paid I would have expected to be able to read in bed- and it was sorted by a nice member of staff. Two chairs on the balcony would have been nice. The location is excellent. Huge lovely shower in our room and very good WiFi as we were above the office. The staff is friendly, especially one lovely young man who found me a reading light as there wasn’t one in our room. 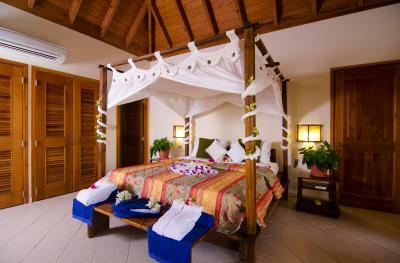 Nice big bed! A fridge in the room is a bonus to keep water cold. Cleanliness of the yacht club is not great. You have to wear shoes around the room otherwise you’re feet are black. Quality of towels etc is poor and surfaces never seem to be wiped. 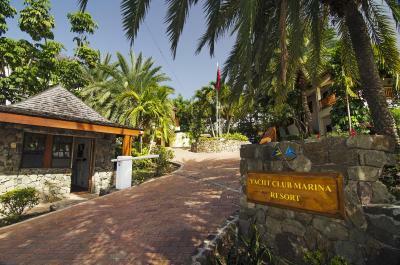 Location of the yacht club is great, as is the space within the rooms. I had two balconies over a split level which is a nice luxury. If you wanted to cool then the room was equipped well. It was fun. It couldn’t have been better. There was a leak in the showerhead pipe. It sprayed water onto the ceiling of the shower. It’s not cheap but you get what you paid for! 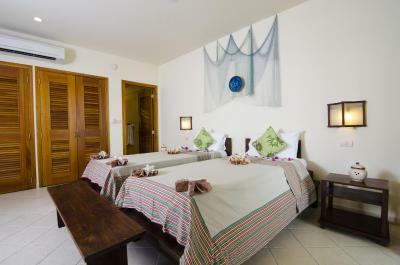 Really nice rooms and comfy bed, staff went out of their way to make it special for us. If this place had a pool it would be spectacular! 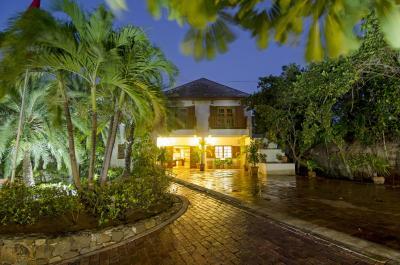 This place exceeded our expectations and would 100% stay again, the staff were so friendly, the hotel was placed perfectly for the bars and restaurants. We had a problem with a rat visiting our balcony.The problem was eventually solved after several discussions by cutting down a palm branch.We also had a problem with microscopic ants in the bath room one night which I eventually resolved.The fridge had very little space for personal items as it was full of mini bar products.No complimentary water on arrival at apartment.Musical events in the area meant that sleep was disturbed on several nights. 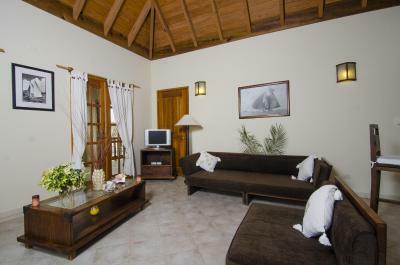 Excellent location, very comfortable stay and really enjoyed the experience. 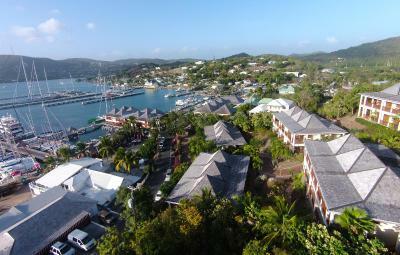 Really prime location for beach, yacht club, harbour, Nelson's Dockyard- highly recommend. Balcony was great too. 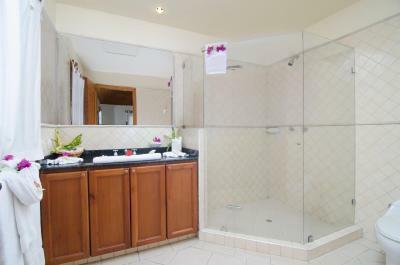 The location, the firm mattress and the size of the shower.